"When it was operating, it was a central part of the community," said Denver's Chief Economist Jeff Romine. "The Gates plant helped create jobs and it helped create income for families all over the central part of Denver." The history of where the former Gates Rubber plant once stood is now gone, and has been scrapped clean to make way for a new 40-acre transit-oriented development with plans of creating its own iconic future. "You can see we're beginning to remove all of the old buildings," project manager Lisa Duker-Ingle explained while giving a tour of the site. "We spent the last three-and-half years looking at what the vision should be." The new development also comes with a new name. "It felt like a natural name," said Duker-Ingle. 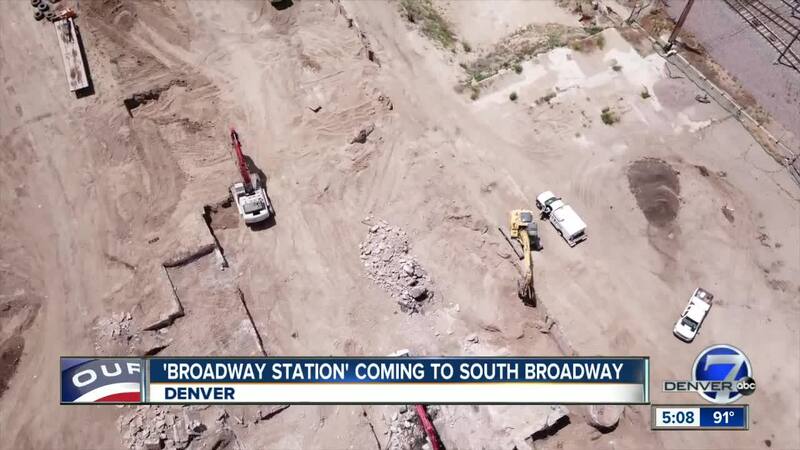 Broadway Station is what the future site will be called. Duker-Ingle said they plan to transform the area near I-25 and South Broadway into a mixed-use development with 2,500 different housing options, and at least 250 affordable units. A million square feet of office space, room for retail, restaurants, all within walking distance of light rail and the RTD bus station - and that's only the beginning. "We have parks and open space across the site. Bridges that connect the east and the west side of the tracks to reintegrate those neighborhoods together," she said. You could call it a facelift for Central Denver or the future Union Station - Midtown. "Getting into downtown can be challenging given traffic on I-25 and we feel this is a mid-point throughout the city of Denver," explained Duker-Ingle. However, it isn't coming with help from the city. A special tax to the tune of $90 million will pay for infrastructure. "The additional tax is being generated by the additional developments so the current residents of Denver will not be paying for that infrastructure," said Romine, with the city's office of economic development. Duker-Ingle said they hope to break ground on the development's infrastructure this fall, with plans for the first vertical development next June. Officials estimate the entire 40-acre development will take more than a decade to complete.